Beautiful Baby Girl 1st Birthday Outfit. Pink Tutu With Gray Elephant. Includes Bow on a clip or headband just let me know at checkout. 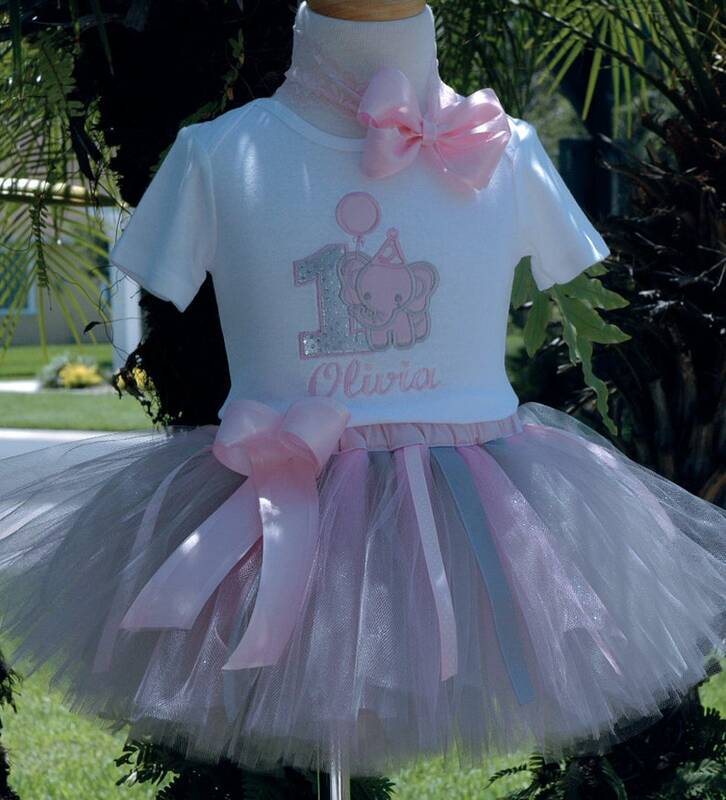 The tutu is sewn and created with beautiful soft satin pink fabric around the waist. This is a personalized baby girl birthday outfit!! At checkout please leave me your girls name so we can embroider it right underneath the applique. We use high quality soft pink and sparkly pink tulle for it. Around the tutu you will find pink strands of ribbon. The shirt features a number one with cute baby elephant with a birthday hat! Notice the beautiful sparkly fabric you have used for the applique on the elephant. Baby elephants hat features a cute rhinestone on the top of it. The bow will be placed on a headband unless you let us know you will like a clip. The elephant 1st birthday onesie and tutu are beautiful. I cannot wait for my daughter to wear it for her 1st birthday. Seller responds immediately to all questions and fast shipping!!!! !